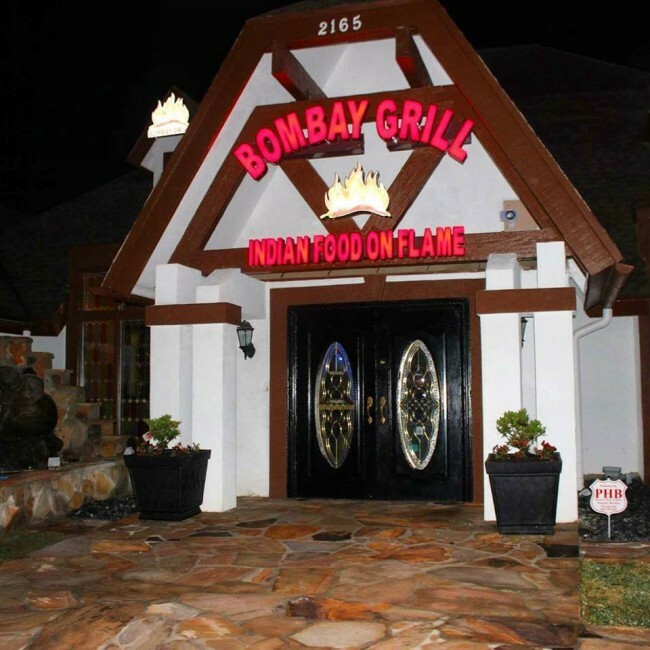 Atlanta, GA: Remember Bombay Grill in Chamblee/Dunwoody where so many of the community events were held until it closed down six years ago? The upscale restaurant and banquet facility reopened recently under a new, enthusiastic management. Atlanta’s Dinesh Nagpal who has a share in the property, invited his California based restaurateur/chef friend Vikram (Vicky) to partner in the restaurant, and together, the duo spent several months recreating the interiors and building a quality team. The team includes two renowned chefs with five-star hotel experience and friendly wait-staff. “The facility was completely vandalized and we had to build it again from scratch,” says Nagpal. The elegant interiors, upscale ambiance and innovative themed lighting at the restaurant and banquet facility are testimony to his design skills. The banquet facility seats 600 people, and is perhaps the only one of its kind in the Dunwoody area. 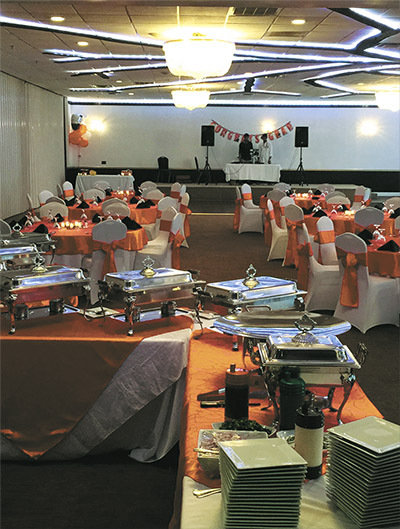 “It makes a world of difference when the food is cooked at the venue and served fresh,” says Vicky, who recently convinced a wedding party to change the venue from the Hilton to Bombay Grill because of the convenience factor. 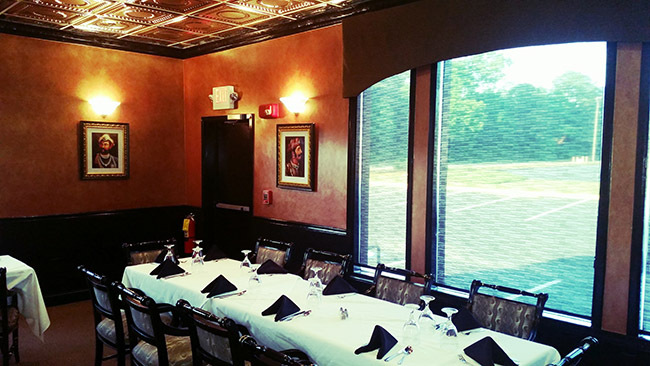 The adjoining restaurant also has a party room that can seat up to 30 people. The restaurant also boasts of live music two days a week and belly dancing during the weekends. The menu at Bombay Grill is extensive and will soon include seafood delights like shrimp, crab and lobster, says Vicky. At $10 on week days, the lunch buffet includes a salad bar, tandoori appetizers, south Indian and north Indian dishes. Dosas, puris, naans or any other type of bread can be ordered at the table. “We are Punjabis. 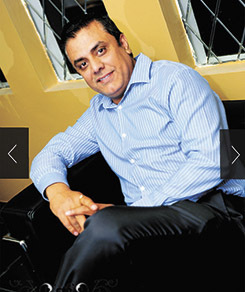 Food and hospitality are in our DNA,” says Nagpal. Partner Vicky, who ran Akbar Grill in California for several years, also has hands-on experience in the hospitality industry. “You need passion to be in the restaurant business,” he says. “When I started off 20 years ago, I wanted to be a waiter, but my boss hired me as a dishwasher.” As Vicky worked his way up, he learned the ins-and-outs of the business, and ended up running the restaurant. The team is certainly off to a good start! Bombay Grill is located at2165 Savoy Dr,Chamblee,GA30341. Check out their Facebook page here.